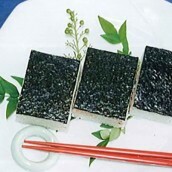 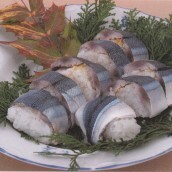 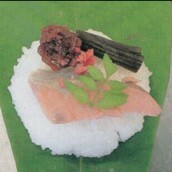 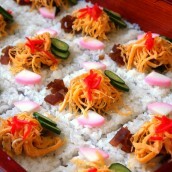 A kind of sushi with sushi rice, toppings and condiments on bamboo leaves (sasa). 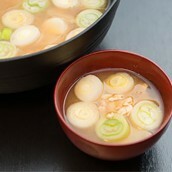 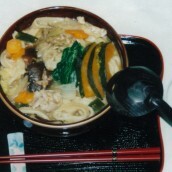 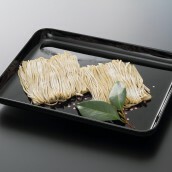 There is a variety of toppings such as wild vegetables like warabi, bamboo shoots, zenmai, and other ingredients like miso-marinated daikon, walnuts, carrots, hijiki, aburaage, kinshi tamago, sakura denbu, and salmon flakes. 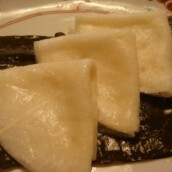 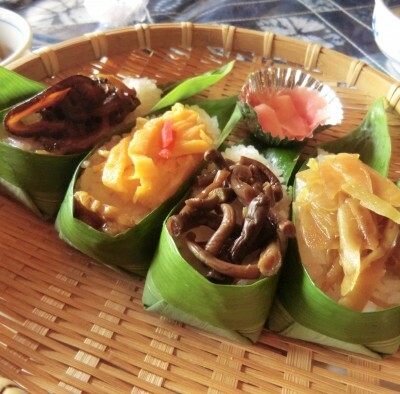 It is said that bamboo leaves were used as a plate in the Age of Provincial Wars and it is the origin of Sasa Zushi.